What is Picross? This is your life on a 10×10 grid. You are going to fill this grid with your experiences and one step at a time, you’ll get where you want to be and find your true inner self. You’ll start off with absolutely no idea what things will look like. Most problems can not be solved from the start because they haven’t revealed themselves fully. Only a few squares on this board are solvable from the start. You know the 9 has to fill up some of those blocks in the middle so it’s a process of elimination. Fill those first and see where it takes you. It’s like you’re looking for your keys, but first you need to clean your room. You clean the room and eliminate one possibility where the keys could be. Eventually when you’ve cleaned your entire house you’ll find them. Outside on the mat. Doh. You went through a furious ordeal but you now have your keys, and know where everything in your entire house is. Sometimes the next step isn’t so simple. A completed number could just cross off something you already had. There is always a way with Picross, however, just as life finds a way. You might have to find the one block that has to be overlapped by a 4 lost in 7 potential blocks. You need to slowly guide that 4 to its home, but sometimes you can’t do it all at once. Sometimes you have to drop it at the bus stop, then let it catch the bus to the station, take the train a block from home, and walk the rest of the way. Then when the 4 gets home you can comfortably tuck the whole line into bed. The train has arrived for you now. Don’t question the square wheels, just get in. It works. You made this. You’re at the station now and you can go anywhere. Picross is dangerous. If you have a keen eye at the start you can pick off multiple squares and be thrown in different directions at once. The urge to go fast is real but the only way you’re going to finish the picture is by not making any mistakes. Taking small steps is a good exercise in self-control. You are guaranteed to solve the puzzle this way, eventually. You have full control over your life. That column is now finished forever. Trees are growing. A house is being built. The cursor flies to the top of the grid to confirm that row. What a rush. After an intense Picross puzzle you might need to calm down a bit. Luckily we have some relaxing sounds to choose from, as well as several jazzy tunes. 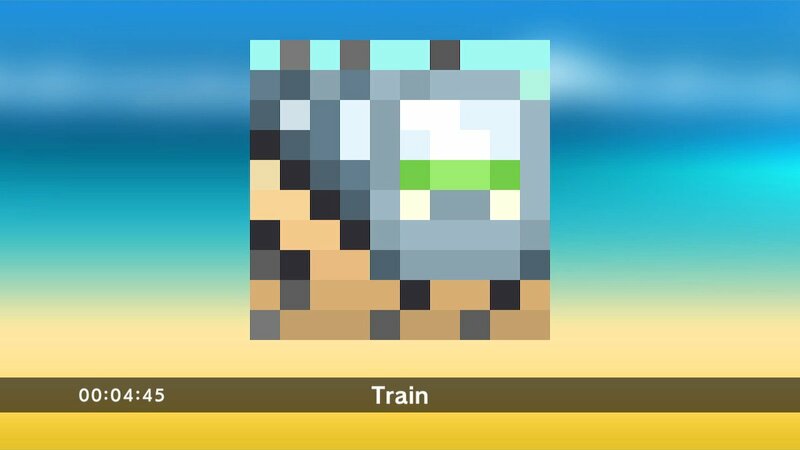 Picross S2 is not merely a game, but an environment for your soul to flourish. 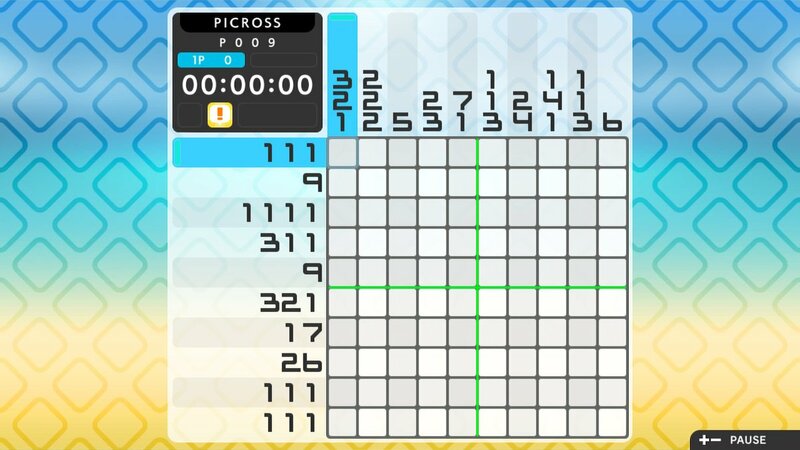 I’ve played Picross on 3DS before but I found the bigger screen on Switch a bit easier to navigate, and it’s been a pleasure to get back into it. Button controls aren’t as fast as touch screen, but they do the job, while offering a few different options for cursor speed. There is no reason to rush. 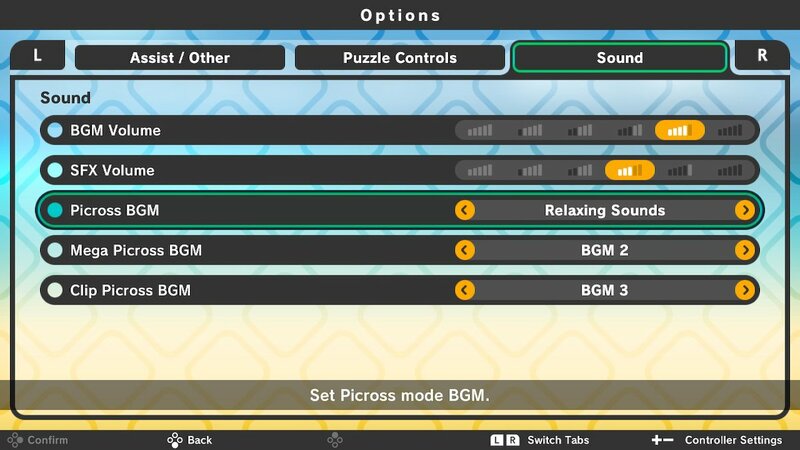 Picross offers a gameplay experience that compliments the open-air experience of Breath of the Wild by opening your mind. The graphics may look simple but that leaves more room for the most amazing thing in the world, your imagination. If one puzzle isn’t enough we have 300 here to keep your brain going. May as well do one more. Just one more. Always one more. Then the grids get bigger. Then there’s Mega Picross. Then there’s Clip Picross. Now you’re soaring over the Great Barrier Reef in your own private jet. A dolphin jumps out of the water and winks at you. You understand the dolphin. The ocean is a grid full of numbers and it’s been playing Picross all its life. Perhaps because, Picross is life. This entry was posted in Uncategorized and tagged 3DS, Nintendo Switch, Picross, Picross S2. Bookmark the permalink.